Most people who find themselves concerned with unhealthy cholesterol numbers and can't seem to get them under control with diet and exercise, inevitably face some decisions. For most and under the influence of mass media advertisements, pharmaceutical companies and their influences on many primary care doctors; the route often prescribed and taken is statin medications - which in many cases is in fact the best choice, for certain individuals. For those that may have more options without hereditary or other limitations, and more interested in addressing their cholesterol concerns while minimizing long term side effects with a more holistic approach; incorporating niacin has been a very successful pathway taken by many. Niacin is also known as B-3, is one of the eight B-complex water-soluble vitamins. Niacin, a name stemming from the nicotinic acid vitamin, comes in a few different forms, including niacinamide. In this article, we are going to briefly explain cholesterol in easy to understand language. In addition to this, we will cover how niacin works for many as a way to improve cholesterol numbers and how also, it can be a very effective (and safer) alternative to some of the bigger mainstream medications used for cholesterol today that are accompanied with a list of unpleasant side effects. If you've ever paid attention to blood work you've had done, you have most likely seen a few things listed under your lipid or, cholesterol numbers. Total cholesterol, LDL, HDL, VLDL and tryglicerides are what you've most likely had reported back. 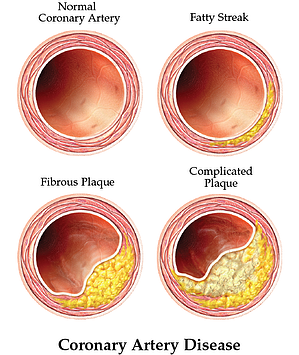 Triglycerides and cholesterol are different types of lipids (fats) that circulate in your blood. We can think of them as a "waxy" type of substance. Cholesterol occurs only in foods from animals. Because the body can make it's own cholesterol, it is not necessary in one's diet. Triglycerides store unused calories and provide your body with energy. This becomes a bad thing when the number becomes too high from consuming too much food; namely from saturated fats and processed foods and sugar. High numbers here is often where poor diet combined with lack of physical activity contribute largely to an imbalance of too many calories (food) taken in and not exerting enough energy (movement) out each day to use it up; we then have a surplus of calories each day leading to excess body fat and often, high triglycerides. Cholesterol is used to build cells and certain hormones - this is a good (and very necessary) thing - when within healthy quantity ranges. Cholesterol is a precursor of important hormones such as progesterones, cortisol, testosterone and estrogen. So, we can hopefully understand the necessity of it here. LDL is a "low density lipoprotein" carrier. Cholesterol needs to be transported through the body via the circulatory system in order to get dropped off where it is needed throughout the body. This, is where we can think of LDL playing a role here. And, this is good - right? It is in fact BUT, within healthy ranges. Remember; cholesterol being like a "waxy"or "gooey" substance can start to clog up the pipeline (arteries) & circulatory "highway" system if this LDL cholesterol number starts to get too high. This is an even bigger concern if there are also high triglyceride added into the picture here. Creating a road block here on the circulatory highway preventing necessary blood flow to the brain (stroke), heart (heart attack) or any other blockage is not something anyone with a sane mind would want. LDL kept under 100mg/dL is good. LDL over 100mg/dL is bad. So, what about "Good" HDL Cholesterol? HDL is a "high density lipoprotein" and is like the helpful guy cruising around on a street cleaner truck polishing up the roads in the neighborhood to keep them litter free and, to prevent any road blocks. And while he's at it, he picks up any excessive LDL's hanging around who are not needed, to prevent them from loitering and causing trouble in the hood. Another way of thinking of HDL here is that is scrubs the interior walls of our arteries to keep them healthy and clean. 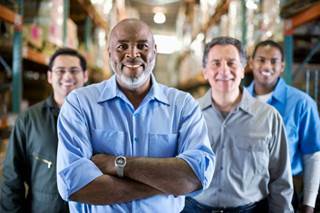 HDL reduces, reuses, and recycles LDL cholesterol by transporting it to the liver where it can be reprocessed. This relationship between LDL and HDL is kind of like the ying and yang in attempt to maintain homeostasis within. HDL above 60mg/dL is good. HDL below 40mg/dL is a red flag. Of course, there is much more science with medical terminology all while giving much deeper insight here with cholesterol, but the goal is to keep it short and simple. I assume whoever is reading this is not a medical doctor and just needs to understand things in simple terms, yes? Okay... Carry on (my fun English accent). Although niacin may have a small positive impact on LDL (aka "bad") cholesterol, niacin has been more widely known for and utilized by practitioners and individuals primarily to elevate HDL (aka "good") cholesterol levels. Niacinamide (aka; the "no flush" version) is not capable of contributing to any vasodilation of blood vessels like regular niacin can so it does not contribute to flushing of the skin like the very large doses of regular niacin may. However, this "version" does not have any notable health benefits like regular niacin is known to have. 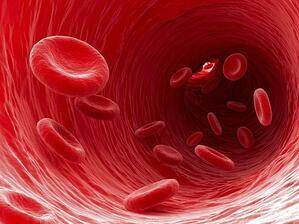 Niacin has been the most widely used medication to raise HDL-C levels, increasing HDL-C by 16 to 25 %. The Coronary Drug Project was the first randomized controlled trial to assess the efficacy of niacin. Among men with previous history of a heart attack, niacin versus placebo had no effect on all-cause mortality but resulted in a 14%reduction in cardiovascular death, 26%reduction in strokes and transient ischemic attacks, and 11 % decreased mortality at 15-year follow-up, 9 years after termination of the trial (6). Niacin is thought to block the release of fatty acids from fat cells in the body. From there, less fatty acids are passed through to the liver, resulting in fewer Very low density lipoproteins (VLDL) particles. Less VLDL equates to smaller number of LDL and higher HDL. In efforts to eliminate any unwanted side effects but yet still give a helpfully mild contribution to improving cholesterol profiles, some holistic approaches have been taken utilizing policosinol with niacin together. You can take a quick read on policosinol by clicking here. For some, statins are an appropriate route of action, especially considering how effective they are for dropping LDL numbers. For others, the side effects may outweigh the benefits. to a drop in the body's coenzyme Q10 (CoQ10) levels - which are essentially in laymen's terms "batteries for our cells" and also act as antioxidants to help neutralize free radicals. Others may experience nausea, headaches or other short term or mild side effects which all can vary and some be tolerated. One of the more nasty side effects that tends to be kept quite and should be a concern among men is that statins have been shown to lower testosterone levels and disrupt endocrine system balance. One of the goals at YOUTH-Rx is to help men and women look and feel their best. 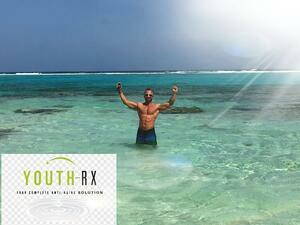 One of the biggest ways YOUTH-Rx's doctors due is by striving to optimize their hormones. However, the ability of statins to significantly lower excessively high LDL is once again, a well known and very effective means of doing so. For some in more alarming cases, a combination of both a statin combined with niacin has been used successfully to both drop LDL while elevating HDL. Most niacin products have come in the form of 500mg and some in 250mg; these doses have been most commonly seen before - other than the "niacinamide" forms that are found in lower doses... but again, this form (niacinamide) just isn't effective for cholesterol though. All this said under assumption there is truth in labeling (with stated doses on labels) which sometimes along with quality, can be a guessing game with OTC supplements. The uncomfortable concern for many at the higher ends of 500mg dosing or higher at one time is the "flushing" feeling on the skin. Although more rare, some may even experience this within the 250mg dose ballpark as well. The goal for many in effort to provide cholesterol support, is with lower doses spread throughout the day. This is to avoid any of the uncomfortable flushing but yet still implement enough on a regular/daily basis to assist in efforts to elevate your HDL ("good") cholesterol. Detox: Combination of niacin, exercise and sauna can be a good way to assist ridding your body of unwanted toxins. Energy: Niacin is essential in the production of energy in the body. Deficiencies, although rare, cause tiredness and fatigue. Daily supplementation is thought to give a natural energy boost. Arthritis: Some studies suggest niacin is better than NSAIDS for arthritis in higher doses. Memory loss: Niacin supplementation has been correlated with improve memory, and correct some senility problems. Preventing Hair Loss + Balding: Exciting exploration into niacin supplementation has showed Increases with blood flow to scalp, important in hair growth and is though to play a role in reducing production of DHT linked to balding. Insomnia: Niacinamide activates benzodiazepine receptors in the brain, which affects sleep. Cancer: Has the potential to influence DNA repair and the immune system, therefor having a potential impact on lowering cancer risk, as well as possibly diminishing side effects of chemotherapy in the cancer patients. Acne: Many reports show Niacin can reduce severity of acne at daily doses of 400/500 mg.
Alzheimers: Studies have shown that vitamin niacin can help protect against Alzheimer’s disease and other age related brain disorders that result in cognitive decline. Whenever and wherever possible, YOUTH-Rx doctors try to avoid side effects (short and long term) but yet still give attention to areas where needed in their efforts for your best overall health and longevity with programs. When dosed appropriately, niacin has an extremely low occurrence of any unwanted flushing feeling of the skin but yet has the potential for numerous health benefits, primarily attracting positive attention with it's ability to help with cholesterol as it relates especially to cardiovascular health. Niacin therapy should be initiated in patients with low HDL levels (less than 40 mg/dL for men and less than 50 mg/dL for women), especially if other risk factors are present. Niacin stands as one of the most effective approaches known for improving the many causes of heart and vascular disease, and has been shown to reduce the risk of heart attack. Niacin is very simple and safe to take, if used correctly. In our experience, the majority of people who follow safe and directed guidelines are able to utilize niacin with very little to no skin flushes. Potentially serious side effects are almost never seen. If you feel like you could benefit from this added to your program, Please contact us for a quote for your prescription.